Dr. Orbegozo, an experienced anesthesiologist and pain management specialist, is a physician with the Florida Pain Relief Group. Not only as he served as a USAF war veteran, he is a published author, educator and public speaker. He began his medical career upon graduating medical school from Universidad del Rosario in Bogota, Colombia. He went on to complete his post-graduate training in general surgery, anesthesiology and pain management. 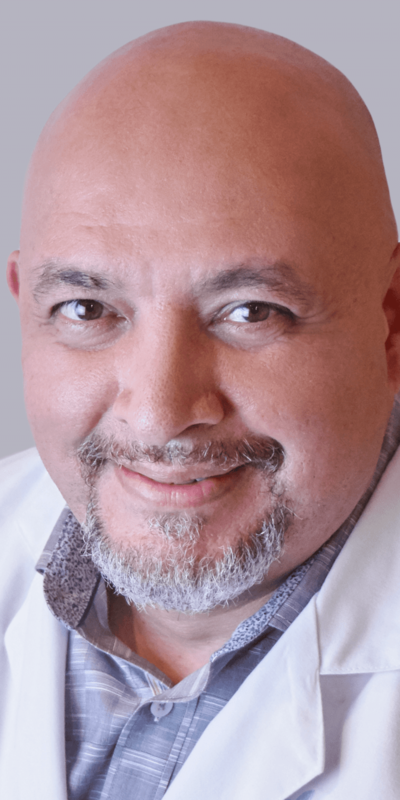 He’s been an instructor in anesthesiology and pain management at two Texas universities, and has maintained licensure as a physician and surgeon in four states. Very pleased with my first appointment with Dr. Orbegozo. I am encouraged with the plan he has suggested. Very pleasant and listened to my concerns. I am very hopeful that we will have great success with his treatment plan. Thank you for writing Ms. Hirst. We are pleased to have provided you with such a positive experience and will strive to do so at every visit. We value you as a patient and wish you the best of health! I love the staff and there patient services. Dr Orbergozo is a great Dr and he takes his time to listen to me and I’m sure his other patients. Dr Orbergozo is kind and doesn’t treat you like crap! He genuinely cares and that’s a great Dr he’s awesome glad I’m in his care wouldn’t change him at all that’s why I Drive from Winter Haven because he is the best again he cares for his patiences and that’s a big plus in my book!!! This is excellent patient care at its best. We are grateful that you have taken out the time to express your appreciation for our staff. The doctors, advanced practice providers and staff thank you very much and value your feedback. One of the best Doctors visits I have ever had. He took his time, listened to my concerns and answered all my questions. Very satisfied. Thank you!! Thank you for the kind words. The doctors, advanced practice providers and staff thank you so much and appreciate your feedback. 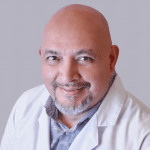 Dr.Orbegozo has been my pain doctor for 2 years and I have 0 complaints , he listens, he explains , and most of all he has plenty of patience to explain why you are in pain and what he will do to fix it. I wouldn't change him even I didn't have insurance i will keep on seeing him .He makes sure you leave that office knowing what is the next step to feeling better . We are grateful for your five-star rating and kind review for the doctor. We value your feedback and are honored to help you in your journey out of pain. We'd also appreciate your sharing your good experience with your family and friends. Dr O is kind, and takes the time to listen, he is honestly trying everything thing he can to help relieve my pain . Thank you so much for your positive rating. We value your feedback and are honored to help you in your journey out of pain. We'd also appreciate your sharing your good experience with your family and friends. A wonderful doctor. He gets a 10 in every area! We are grateful you have taken out the time to express your appreciation for the doctor. We all value your feedback. Thank you! I am impressed with the professionalism and treatment of Pain Management Group. We are grateful for your five-star review and appreciation for our staff. The doctors, advanced practice providers and staff thank you very much. We value your feedback and are honored to help you in your journey out of pain. We'd also appreciate your sharing your good experience with your family and friends. IT WAS MY FIRST TIME AND IT A FAR DRIVE BUT IT WAS WELL WORTH IT. We appreciate your five-star review about your experience with us! We value your feedback and will strive to exceed your expectations at every visit. We appreciate your five-star review about your recent experience with us! We value your feedback and will strive to exceed your expectations at every visit. My experience with Dr Orbegozo has always been positive and caring. I feel that what goes on around him sheds a bad light on him. Again I tell you no one can ever get through to the office no one returns your call. It seems that there’s one manager for multiple offices that is overworked with all she has to handle. Everyone has always treated me with respect and kindness but we go back to the system in place at both the offices and the scheduling at the Havana surgery center. This is not the responsibility of the Dr it’s the responsibility of PPOA and there management. I have spoken to some of the nicest operators who would try every extension only to come back and say I’m so sorry I can’t get anyone to pick up. Every person I run into if at the offices or the surgery center have the same thing to say it’s not the Drs fault but this is really a terrible set up and the problems need to be addressed! I have been told to pass this on from the staff at Habana Surgery and from people at the offices. There are times I know for me I have tried for days to get through left messages that were never returned and this happens to everyone. You are not doing your Drs justice by putting them in a bad light over things they are not supposed to control! My Dr is great the system is not! We appreciate your honest review and value your feedback which has been escalated to management. Thank you for expressing your appreciation for the doctor. I had severe pain via post op partial knee replacement recently. My knee surgeon was not addressing it well as I was waking up in the middle of the night crying. Dr Obregazo had a long wait ..however, he took his time with me and gave me medication to help in my recovery for the next month. He is an amazing caring Dr but that is where my good experience stops. I was booked for a nerve block to help with my severe pain this Saturday and after 2 and a half hours of waiting my husband asked how much longer I would have to wait as I was in pain from sitting that long and the front desk staff was extremely rude stating “we have no idea probably another 2 hours” I am sorry but over booking procedures on a Saturday morning is not patient centered care. ****I am going to update this review because Dr O took the time to rectify what happened to me 2 weeks ago. I have never met a more caring compassionate Dr in my life and this is coming from a registered nurse whose met and spoken with literally hundreds of Dr’s. I do hope they are able to work out the staffing and answering important phone calls otherwise I will sadly have to leave. We take patient concerns very seriously and have escalated yours to the highest level of management for review and action. We aim to deliver courteous, world-class healthcare, and assure you we will handle this appropriately. Staff is AWESOME, Dr. O. Is my hero for giving me a quality of life back! Even though R.S.D./CHRONIC PAIN/FIBROMYALGIA ARE NOT CUREABLE, DR. O. HAS LISTENED, AND KEPT MY PAIN LEVELS THE BEST THEY HAVE BEEN SINCE BEING DIAGNOSED IN 2006. His APRN IS AMAZING, TRUELY CARING, AND MAKES YOU FEEL VERY LUCKY TO HAVE FOUND A REAL PAIN CLINIC THAT DOESN'T WANT TO PLAY "LET'S TRY THIS" WHEN YOU'VE BEEN THAT ROUTE COUNTLESS TIMES.THEY PUT THE TRUE MEANING OF CARING BACK IN THE MEDICAL PRACTICE ❤ TOO! LOVE TO DR. O'S TEAM ❤AT MY LOCATION ON SHELDON YOU ALL COMPLETELY DO EVERYTHING YOU CAN TO MAKE SURE IM NOT LIVING IN A BED, AND LIVING LIFE 1 DAY AT A TIME, GIVING ME A PEACE OF MIND IF I AM IN PAIN THEY WILL TREAT THE PATIENT AND THE PROBLEM ❤ K. BRAUDRICK! Hi Kelly. Thank you so much for your positive comments about Dr. Orbegozo and his staff. They will be so pleased to hear they exceeded your expectations! I've been experiencing pain from various injuries. Over the past 4 years I have had several pain doctors and have had poor experiences with each of them. I always left my appointments KNOWING that they werent listening to me, were pushing/over prescribing medication, pushing me to have unnecessary procedures, or even worse, scolding me for not having procedures that THEY ALREADY PERFORMED on me PERSONALLY. It goes without saying, chronic pain takes a mental toll in addition to the physical pain. It is incredibly demoralizing and deflating to go to the professional who is supposed to care about your well-being and they treat you like they are doing you a favor by just seeing you. SO, when I went to see Dr. Orbegozo I was expecting to have the same experience I've had the last few years; disinterested, insincere, apathetic doctor. INSTEAD, what I found was that he took inordinate care to review my chart, ask about my issues/concerns/limitations, and listen to my woes about my decreasing ability to maintain my active lifestyle. I left Dr. O's office feeling, FOR ONCE, that I'd been heard, cared about, and being treated by someone who is genuinely interested in helping me live my best life. Thank you Dr. O for your great service! Great Dr's and amazing staff. Dr. Orbegozo is a rare find. A kind, knowledgeable, compassionate and and caring physician. He knows just the right course of action without any second guessing. I am very pleased to have come across such a wonderful Doctor. Highly recommended! I was in so much pain. Before I found Dr O I saw two different doctors. I did six months of tharphy. I was still in pain...I watched the morning show this how I found Dr O...I called made appointment..I didn't have to wait a month too see Dr O. Dr O is the best pain doctor...he suggested a nerve block and nerve burn.got in assp at the surgical center...I had a nerve block...Omg it was like night .and day...no more pain. I couldn't believe it..The pain was gone. I couldn't work because of the pain. It's been over a year since I don't work.i have a wonderful job now..Dr O help me get my life back.. Thank so much Dr O.
Dr. O has been so amazing in caring for me. He has treated me like family and not just a patient! He is very, caring, loving and kind. He does not rush through the appointment and is sure all my questions are answered to my satisfaction. Definitely a 10 and all around good guy!